I became my time at Bowmore with a tasting. Probably should have done it the other way around, but so it goes. The tasting was done roughly by age, beginning with new make and working up. Thankfully all but one of the drams on offer was new to me. Nose: plastic/rubber, vanilla?, milk?, earthy peat, green malt. After adding a bit of water, more great malt and peat, more smoke, and some barnyard aromas came out. Taste: pineapple, plastic, green/vegetal, malt. After dilution it became creamier and more green. This was... not good. Especially in comparison to Lagavulin's new make, Bowmore's was downright disgusting. Kind of hard to see how this becomes good whisky, but oak and time work wonders. Nose: a lot of new make character, malty, very light peat, hay, a touch of vanilla, a little chocolate. With water there is more malt and vanilla plus creamier peat. Taste: thin and watery, a little bourbon barrel/malt sweetness up front, light caramel, very green with light oak tannins at the back. After adding water, it becomes much sweeter, but the oak loses whatever heft it had before. Despite the name, this is designed to be a lighter Bowmore expression to complement their Legend expression. Despite the general trend of younger peated whiskies being more robust than their older peers, this one was extremely subdued, verging on boring. But that's what happens when a whisky is built to a price point. Nose: lots of plastic-y vanilla, salty dough, light-ish peat, maritime, farm-y, a little citrus. With water, more lemon/lime comes out and the peat becomes smokier. Taste: lots of sweet bourbon notes up front, rich caramel, vegetal, creamy malt, oak and peat are entwined at the back, herbal. With water, there is more citrus, malt, and earthy peat, while some seaweed and pepper come out. This was more like it. Tempest is made entirely from whisky matured in first-fill bourbon casks for ten years, then bottled in batches. While following the current trend of 'sweet & peaty sells', this is one of the better whiskies I've tried from Bowmore. I could have done with a bit more smoke, but the cask strength (well, batch strength) helped to remedy Bowmore's usual flaw - lack of punch. If it weren't for the fact that the comparable US bottling - Dorus Ur - is at a ridiculously high price point, I'd already own a bottle. At $60-65, like it is in the UK, this would be a huge winner. At $100, there are a lot of better options out there. This was the reference standard for the tasting, as I had tried it before. And I felt about the same - it's alright, but the sherry felt a bit too heavy and the low bottling strength keeps it from being punchy enough. Still I wouldn't say no to a dram if offered. While still understrength, I felt like this was a significant improvement over the 18 Year. The two are mirror images in terms of construction - both are mixes of bourbon and sherry casks, but the 17 Year has a greater proportion of bourbon barrels while the 18 Year has more sherry. I think bourbon casks let Bowmore's salty/maritime character shine more, with the sherry casks playing a supporting rather than dominant role. I picked up a mini pack containing the 17 Year, so I look forward to retasting it. While the tasting was nice and reasonably priced at £18, it could have been a lot better. Admittedly I was spoiled by Lagavulin - tasting casks from the warehouse would have been a lot better than a handful of whiskies that I could buy off the shelf. I had come all the way to the distillery, so I really wanted something more. But it was still a good experience. Some time ago I mentioned on Twitter that there was an older Glen Elgin available at close-out prices in Oregon. After chatting with Tim Read, we established that it was one he had tried before. And loathed, utterly. He offered me a sample to experience it first hand and I accepted, with a certain amount of trepidation. Being the great guy that he is, he also included a sample of a much better Glen Elgin. Nose: peculiar - almost peaty - funk layered over elderly women's hair product, Glenmorangie-style marshmallow-y sherry that is thrown off by the funk, baseball card bubblegum, malt hiding way in the back, slightly vegetal, very pink, 3 Musketeers bars/nougat. After adding a few drops of water, it becomes more sherry-focused, a bit sweeter/brighter, chocolate/nougat notes are stronger, soapy vanilla comes out, the vegetal notes tuck inside the sherry, there's a touch of low-grade incense smoke, and the sherry improves a bit with time. Taste: starts with malty cask strength sweetness tinged with sherry, bubblegum notes build towards the back alongside growing plastic/artificial/funk, and there's a noticeable lack of oak. After dilution, there is malt/wood sweetness throughout, the oak finally makes itself known but comes to a bad/bitter end, the sherry is a dank gloss over everything, cheap imitation vanilla comes out, there's some raisin residue and cheap floral perfume at the back, with a thicker mouthfeel overall. What on god's green earth is wrong with this thing? I tried to find as much good in this as I could, but it's just not right. I can only guess that Duncan Taylor discovered that the cask had gone bad and decided to bottle it on the assumption that it wasn't going to get any better. I can sort of see what they were hoping for - something kind of like Glenmorangie Lasanta (which is a problem in and of itself for me), but they should be ashamed of having put something like this onto the market. One should expect more from a well-established independent bottler. Charging money for this whisky is just plain wrong. It is hands down one of the worst whiskies I've ever had the misfortune to taste. I made it through half of the sample without too much trouble, but had to throw away the second half after the bizarre hair product notes became overwhelming. Seriously, don't drink this. Despite the fact that it can still be purchased, I would recommend any and all bottles be destroyed. I'm very glad that Tim was able to warn me away from this before I took a crack at it on the strength of the stats. Nose: very noticeable alcohol (calms down a bit with time), moderately sherried with a slight vinegar edge, malty, not a lot of oak, kind of green, creamy. After adding a few drops of water, the alcohol tones down a bit but is still rather present, the malt gains some ground on the sherry, and a little toasted oak pops out. 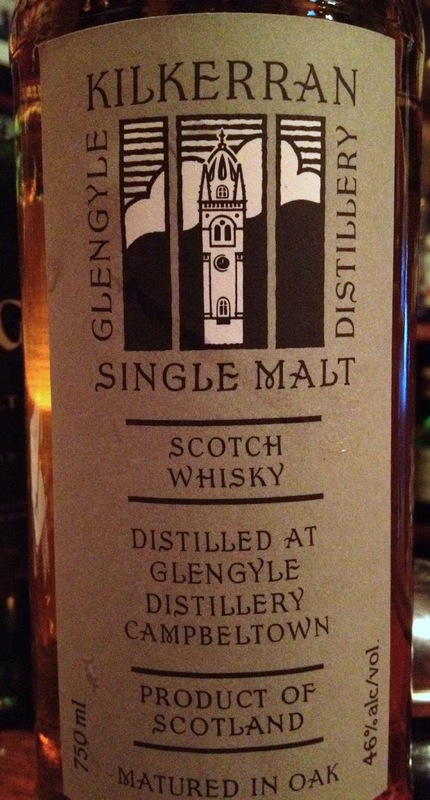 Taste: rather hot throughout, mildly sherried, not a ton of oak, malt shows up near the back. After dilution, the mouthfeel becomes much thicker with a lot of sucrose/malt sweetness, and the sherry backs off a bit. While not patently offensive like the Duncan Taylor, this one didn't sit well with me either. On the surface it seems like a fairly non-descript sherried Speysider. But the surprisingly high proof for its age that gives it so much heat isn't balanced by sufficiently strong flavors. Additionally, I found that it had an off-putting finish, which would have made it seem kind of immature. Part of me wonders if it would have been better off bottled at 46%, as a heavier hand with water seems to settle it down a lot, but only to the level of OK rather than great. With that said, the crew at LAWS really enjoyed this one, so results may vary if you can still find a bottle floating around. Arran has been one of my favorite distilleries, helped by the fact that the OLCC bought a large number of their whiskies around 2010 and were then unable to shift them, which resulted in hefty markdowns over the last year or two. I have been taking full advantage of this fact. Some of the best deals have been Arran's Single Cask releases. I've previously reviewed one of the Sherry Single Casks, but this is the first Bourbon Single Cask I've tried. If you live in Portland or can make it out here, I believe there are still one or two more bottles of this cask left at the 11th & Hawthorne liquor store for under $60, which is a steal for single cask, undiluted whisky these days. The spirit was distilled on 19/07/1999, only a few years after the distillery was established, and bottled on 19/11/2010 at a hefty 57.0% from an outturn of 206 bottles. Nose: distinctive Arran malt, green fruits (apples, pears, pineapple, grape), vanilla, floral (primarily rose), fudgy, brown sugar, a touch of residual new make character, cinnamon, very light oak, raisins, grassy. Taste: sweet malt front and back, prickles of oak and apple/pear at the beginning, turning into sweet floral notes, pepper, caramel, and alcoholic heat close behind - with time there is a certain added thickness to the mouthfeel and a shift towards barrel influence. This is what I was looking for when I picked up the bottle. The roughly 11 years in oak have been just enough to round off the edges of Arran's spirit without overwhelming it, providing an exceptionally clear picture of the distillery's character. Given the light oak impact, I'm guessing this was a refill cask. I wouldn't say that it's particularly complex - more time might have helped on that front - but it's an engaging sort of simplicity. I will admit that I have to be in the right mood for this one. Sometimes the alcoholic heat seemed overwhelming, which made it less than enjoyable. Time in the glass seems to mellow it out a bit, so waiting a few minutes before taking that first sip may be the key. Following some previous posts, I've decided to make a habit of tasting cask strength whiskies diluted down to lower strengths to see how the spirit changes. Dilutions were allowed to integrate for several weeks before sampling. While I generally find that floral notes are one of the better aspects of younger bourbon cask whiskies, at this strength they have taken a turn for the worse. There's something artificial about their character here that really does remind me of cheap perfume - they seem disjointed, unlike more the more balanced floral character in other whiskies. I'm beginning to see why this cask was selected for bottling at full strength - it shows more rough edges being watered down. More water seems to shift this whisky even more towards its origins, emphasizing the malt over the barrel. While it doesn't have the odd floral perfume notes found at 50%, the vegetal smells and flavors were even bigger. The accompanying decrease in perceptible barrel influence makes the whisky seem younger than its years. In conclusion, I really do think this whisky is best at full strength. While dilution was an interesting exercise, I can't say that either 50% or 45% were better than cask strength in any way shape or form. It was educational, but I wouldn't want to drink the whisky that way all the time. For another perspective on this whisky, check out Michael Kravitz's review. The 18 Year is currently the oldest standard expression in the Laphroaig stable (older expressions are released more haphazardly - if you'd like to read about them, I'll point you towards Michael Kravitz's blog). It was brought in a few years ago to replace the previous 15 Year expression, both moving up the value chain a bit and bringing something more approachable to a rather aggressive set of whiskies. Unlike the 10 Year, this older whisky is bottled at a very respectable 48% without chill filtration. 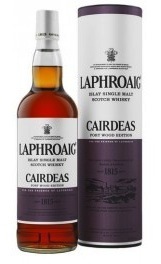 Nose: gentle savory Laphroaig peat (a bit more vegetal than smoky) over warm caramel and malt, floral, hints of green fruit, vanilla (growing with time), salty/maritime, threads of charred/smoky oak, roasted veggies, sweet bubblegum. After adding a few drops of water, the malt becomes dominant with floral notes tucked inside, abundant vanilla, less peat and oak, sweet salted caramels, wood smoke, and the bubblegum becomes fruitier. Taste: fairly classic Laphroaig profile but softer, alcohol is noticeable with sweet vanilla and caramel throughout, a bit vegetal with green apple sourness near the front, some peppery bitter oak and a touch of salty/dirty peat near the back. After dilution, peat, pepper, and oak become much stronger from the mid-palate to the back, the sourness is accentuated and integrates with the peat, there's more bourbon barrel fruit, malt, and wood, plus some cigarette ash at the back, the vanilla isn't as strong but feels more out of place, and it is more savory overall. I had high hopes for this before opening the sample. While I generally like Laphroaig's profile, it helps to have a higher bottling proof (the Cask Strength has been my favorite so far) and the age should have mellowed it a bit. However, I felt like the spirit had given up a bit too much to the barrel. The peat has receded to almost a whisper and on my first tasting the vanilla was nearly overwhelming. It felt out of kilter, rather than being a pleasant, integrated experience. This is a shame as the 18 Year is actually pretty reasonably priced in Oregon compared to other states, so I was hoping to have found a great deal. This makes me rather sad that I missed out on the 15 Year. Having tried a few of Laphroaig's whiskies, it seems like that would be a sweet spot - not too old, but not too young. 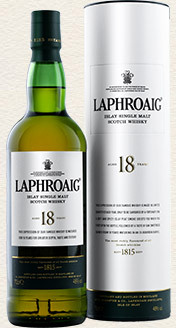 However, I suspect that the 18 Year's weaknesses are largely by design - Laphroaig wanted to produce an expression that would cater to people who wanted a sweeter, less aggressive whisky. Sweet and smoky sells these days. Since I wasn't able to do one of the most in-depth tastings/tours at Laphroaig, I decided to sample some of their whisky after I got back into Port Ellen. Nose: big blast of Laphroaig peat (roasted vegetables/wood smoke/medicinal), rather dry (though getting sweeter with time), underlying malt, a little green, vanilla. After adding a few drops of water, the peat shifts to more of a mossy/barbecue mode, but otherwise the nose doesn't change much. Taste: lots of port cask influence up front (rather pink), then it drifts back into malt, oak, and peat, with the peat and oak making the opening bittersweet, which eventually fades into port and malt sweetness at the back, with some cracked pepper, and a very thick mouthfeel overall. After dilution, the port starts to dominate, making it much sweeter overall, with some chocolate and roasted coffee beans joining the peat at the back. This just doesn't quite work for me, but that's largely because it's the rare port cask whisky that hits the mark on my taste buds. If this had been a sherry cask, I think it would have been stellar, because that layer of fruitiness makes for a great counterpoint to Laphroaig's dry smoke. But if you happen to like both port casks and smoke, it should be a good pick. Kilkerran is the product of Glengyle, the third and smallest distillery in Campbeltown. I got a chance to visit the distillery when I was in Campbeltown last summer, so I've been quite interested to try more of their whisky. The stills at Glengyle only fired up for the first time in 2004, so they have been releasing whisky under the 'Work in Progress' moniker over the last few years as a lead-up to a proper 12 year old - which should be coming in another few years. This particular release was #3 in the series (it's a little bit aggravating that the only way to tell them apart is subtle changes in label color), which was released in 2011. As with all whiskies under the Mitchell family's ownership, this whisky is bottled without chill-filtration and at their minimum strength of 46%. As I so frequently do, I tried this one at the Highland Stillhouse. Nose: gingerbread, maritime notes, not much smoke, gently malty, hints of new make, nutmeg, coal, a vegetal edge, blackberries. After adding a few drops of water, the maritime notes became much stronger, there was a lot more peat and it seemed earthier, while the gingerbread became an undertone. Taste: not very sweet, a bit cardboard-y, very light peat smoke and oak, piney new make at the back, very creamy malt, dry ginger and nutmeg. After dilution, the peat grew stronger and stretched throughout the palate, there was more bourbon barrel influence and caramel, it became earthier and more malty, with a little bit of plastic popping out. I think this may be the first time that my own tasting notes closely match a distillery's published tasting notes for a whisky. The gingerbread notes were strong and a very nice complement to the peat and maritime elements. It was still clearly a young whisky (obviously no more than seven years old) and from bourbon casks, but it was still rather mature for its age and presages good things to come. I currently have the more recent WIP #5 Bourbon and Sherry Wood releases, which I'm looking forward to comparing. Following my tour of the distillery, I got to sample some of the single cask whiskies that go into making Ardbeg's core range. As I've talked about previously, Ardbeg doesn't have particularly deep stocks in their warehouses due to the distillery essentially being shuttered for much of the 1980s and 1990s. So they have largely been focusing on how to do more with what they have, which is almost all pretty young spirit. First up, we sampled the whiskies that go into the standard 10 Year. This was about what I expected it to be. 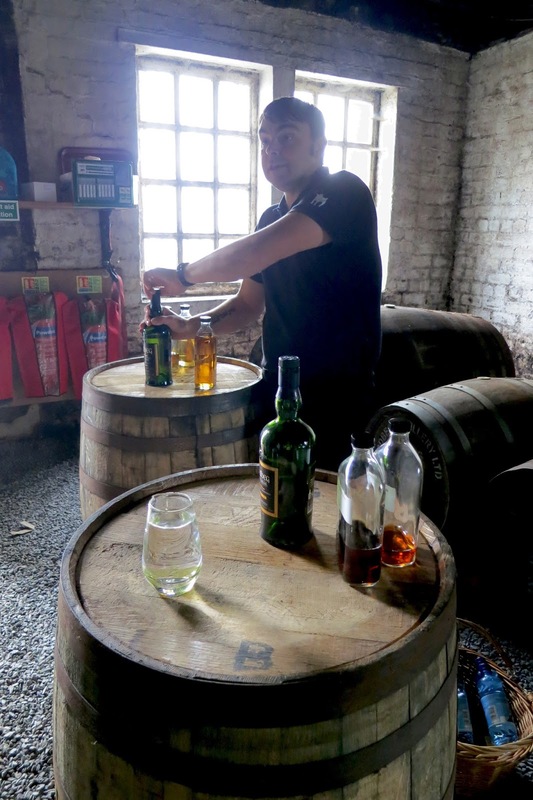 The traditional Ardbeg character was present alongside a fair amount of barrel. Not particularly complex, but good drinking. I'd be happy to buy some at the right price. This was quite a surprise. Despite being a refill cask, with presumably less to give to the spirit, this actually had more barrel influence than the first-fill. While less recognizably Ardbeg, it offered more complexity. If the sweetness was just turned down a bit, this would be a fantastic single cask. Just goes to show how much the distillery character is a product of the master blender rather than the casks coming out as a uniform product on their own. Next up we had some younger sherry casks destined for Uigeadail. Whelp, that certainly confirms my suspicions. This was almost unrecognizable as coming from Ardbeg, reminding me far more of sherry bombs like Aberlour A'Bunadh or Macallan Cask Strength. No wonder Uigeadail doesn't have a lot of nuance - Ardbeg is pushing their casks to extract the maximum amount of sherry flavor from them in the least amount of time, then blending it back with bourbon casks to get back some of the smoke. Which, in my opinion, makes the continued high prices on Uigeadail (with a couple notable exceptions) shameful. This is not the whisky that people were willing to pony up extra dollars for in the early 2000s. It's good whisky, but it's not worth big bucks anymore - treat it like any other younger cask strength whisky on the market today. Last, we got to try the whisky going into Corryvrecken. This was my favorite of the bunch. 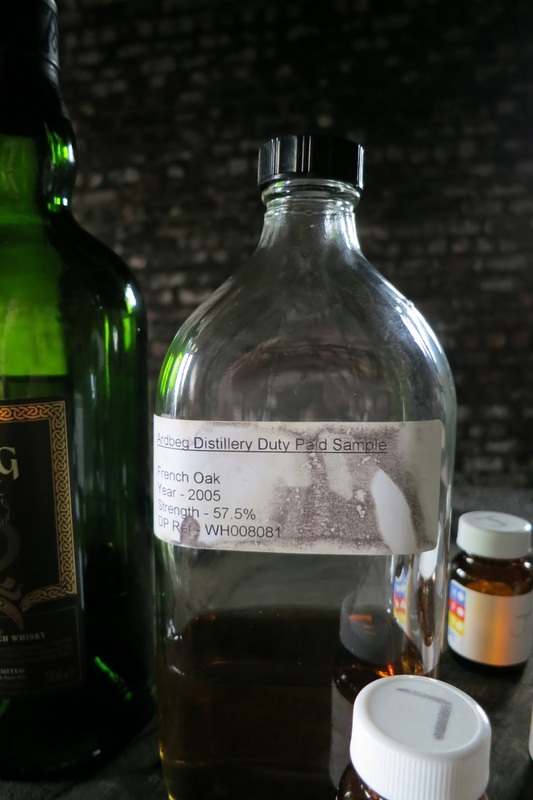 The French oak played very well with Ardbeg's spirit, adding new layers on top of the standard first-fill bourbon notes. Additionally, this is almost exactly what you can expect to find in Corryvreckan itself, so I will definitely be picking up a bottle. With that said, it's also reasonable to expect that the spirit itself is relatively young, so I don't think it's worth the $80-100 that I see some places charging. $70 seems more reasonable. Last, but definitely not least, we were led back into the Kiln to taste some very rare Ardbeg. A cask that just missed losing its designation as whisky to the angels. This one just blew my mind. I finally understand the hype about 1970s Ardbeg. This is completely different than anything else I've ever tried from them. It read much more like a lightly peated Highland or Speysider. To cap the experience, I could still smell the residue in my tasting glass two weeks later after I had gotten back home. I doubt I'll be able to try anything like it again, so I consider it quite a privilege to have gotten the one taste. If you get a chance to go to the distillery, do a tasting, if only for this. Overall I found this to be a really informative tasting. While significantly more expensive than the tasting at Lagavulin (£45 vs. £15), it still felt like reasonable value for money. We were also given samples of the finished 10 Year, Uigeadail, and Corryvreckan, but I mostly passed because I had a) tried most of them before and b) was afeared for the state of my liver after so much alcohol in a single day. It was a slowly, slightly wobbly ride back to Port Ellen, but I got there in one piece. 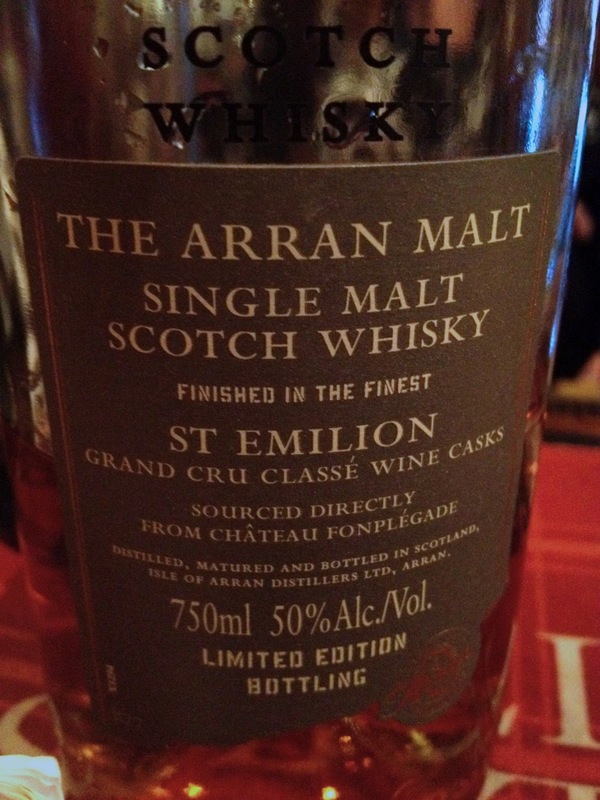 In an earlier phase of the distillery's history, Arran was known (infamous?) for releasing a plethora of different cask finishes. The basic idea was to take relatively young (~8 years old) bourbon cask whisky and transfer it into another cask for a period of 'finishing'. 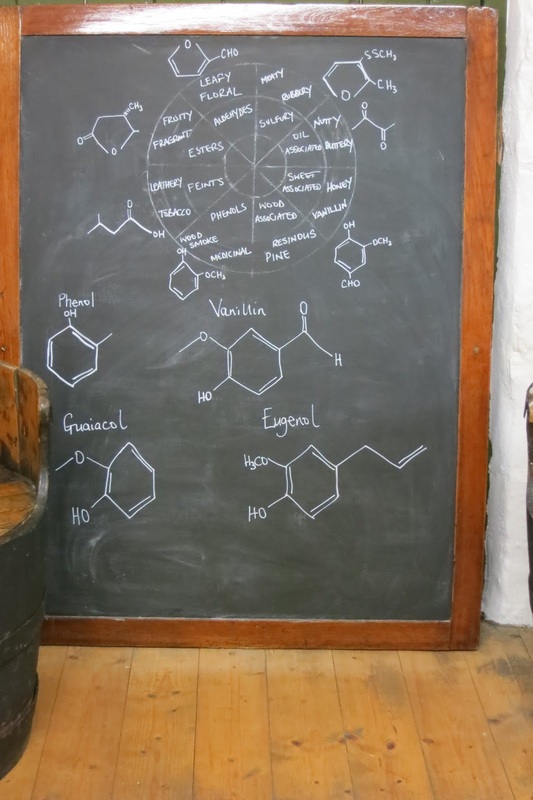 This would add new flavors to the whisky that hopefully complement the distillery character to make something new and exciting. Fast-forward a few years and the cask finishes have been pared back to three expressions: Sauternes, Amarone, and Port (which I reviewed a little while ago). All of the others were deemed unsuitable for regular release. Luckily for me, I can still try a number of the less successful cask finishes at the Highland Stillhouse, as I'm quite curious to see how they turned out. This one began its life as eight year old ex-bourbon cask whisky and was then finished for twelve months in Saint-Émilion Bordeaux wine casks from Chateau Fonplegade before being bottled at 50% ABV. Nose: Arran maltiness, red wine undertones, rich caramel, light vanilla, chocolate, a bit jammy, a little green, very light oak, and maybe a little minty. After adding a few drops of water, there was a lot more chocolate, less wine, more oak - which was just a little astringent, and some more vanilla. Taste: strong wine cask influence throughout, malt creaminess up front fading into peppery oak, bittersweet chocolate, and light vanilla. After dilution, it became creamier, with less assertive wine, oak throughout, and generally warmer flavors. While I generally enjoyed this whisky, I can also see why it didn't become part of the regular lineup. Especially on the nose it still felt a bit young. More importantly, the wine and malt didn't quite mesh in the way one might hope for. With that said, I'm still bummed that I didn't manage to pick up a bottle when it was on sale in Oregon. I can see myself enjoying it again, imperfections and all. If you see a bottle lingering on the shelf, I wouldn't hesitate to grab it. Hazelburn is Springbank's unpeated, triple-distilled line of whisky. The first batch was distilled in 1997 and the 12 Year is currently the oldest standard expression of the line put out by the distillery. Nose: juicy raisins/sherry, fudgy dates, light mint/menthol, very light oak, hard to find the malt, creamy vanilla, more integrated and malty with time - dusty grain and burn sugar. After adding a few drops of water, tons of caramel comes out alongside more malt, while the sherry retreats, after more time in the glass it settles down into a more standard Hazelburn mode - some salty bacon and floral notes pop out. Taste: raisin/sherry sweetness throughout, prickles of pepper and oak tannins come in mid-palate, core of clean malt sugar, coffee beans and burnt sugar at the back. After dilution, there is more barrel/caramel sweetness, sherry tucks underneath the other flavors, a lot more wood comes out, at the back its falls apart a bit - sour/purple, dank sherry, but balanced with some salty oatmeal. This was not one of my favorites. While it improved a bit near the end with some oxidation, it never really settled into a good groove. While the malt was largely overwhelmed by the sherry, it didn't fit well into the sherry bomb slot either. I don't know if these just weren't particularly great sherry casks or what, but they didn't have the freshness that I would hope for from a relatively young whisky. It's just my own tastes, but I'd really prefer it if Springbank backed off on the sherry with Hazelburn. The spirit on its own is just so good that much more adornment mostly distracts from what makes it so good. Some ex-bourbon cask whiskies are kind of boring and need the extra flavors that sherry can bring to them, but Hazelburn is more than capable of standing on its own. I'd much rather have a pure ex-bourbon 12 year old that would let the spirit shine. Capping things, Hazelburn 12 Year is incredibly expensive in the United States. The only place I've ever seen with a halfway decent price is The Party Source (where I bought my bottle) and they don't ship anymore. More often it's over $80 (all the way up to $122 in Oregon, which is just insane), which is hard to justify. Unfortunately shipping from the UK is also pretty expensive now, so that's not any better. There really isn't a good way to get it from where I'm at.